Anna Stasia Cosplay: Wig Review! So, because I'm in school and it's a short summer semester, I'm not having as much time to do tutorials. So, I thought I would post a wig review of the wigs I currently own! Hope you like! I have this in platinum (I think). It's from Arda wigs and I got it for my Daenerys cosplay. When I took it out of the box, I loved it! It's super soft and the color is fantastic. Not exactly screen accurate for my Season 2 Daenery's, but I loved it. Then, I wore it. I no longer love this wig. I've worn it exactly 2 times and now I hate it. The underside is a hot mess now. It's super tangled and I cannot get the tangles out without frizzing the wig. No matter what tips I google, it's not working. Needless to say, this wig is not so good. I think when it comes to long wigs, you need to spend the extra money to get a good one. Plus, I really need a lace front for Daenerys. I have a couple of wigs in mind, and when I choose one, I will review it for you. 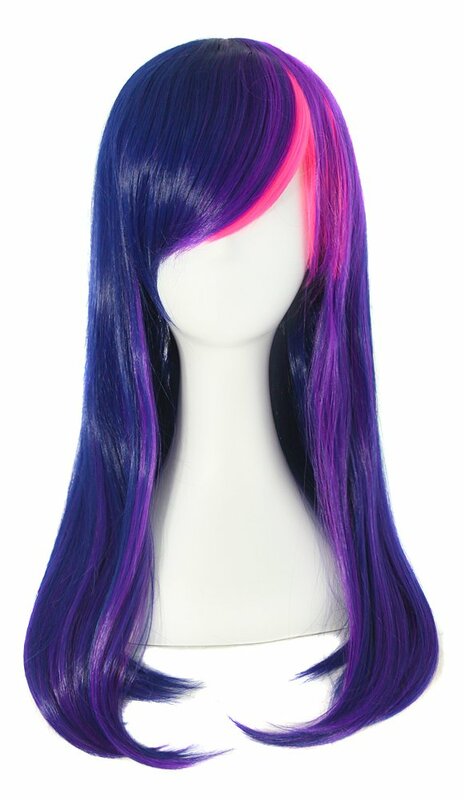 I'm not positive where I got this wig from, but I checked all of the sites I buy from, and this wig is not on it. So, wherever I got it from, they no longer sell it. Which is a shame, because I LOVE THIS WIG! Super soft, doesn't tangle, and totally looks real. This is one of my most recent buys. I got this in grey from Arda wigs for my Carol Peletier cosplay. I like it, but I wish it were fuller. It's a bit difficult to style. In hindsight, I probably should have gotten a wig slightly too long and then trimmed it, but it works. And it looks pretty good on. I got this wig for my Sister Paula and love it! It's a little thin, but my cosplay has a hood, so you don't notice. It's Kharma in Chrome from Wowwigs. It's really soft, looks great on, and is a great color. The only downside is that the cap is a bit big. I had to really pin it down, and thankfully, my cosplay had a hood, so you didn't see the gaping so much. I got this (as well as a tail, which I will review below) from MapofBeauty on amazon. It's actually a pretty good wig for the price. It's shiny, but Twilight Sparkle is a cartoon character, so that works. I've only worn it once, but it had barely any tangles which combed out with my fingers. Definitely recommend this for a Twilight Sparkle. 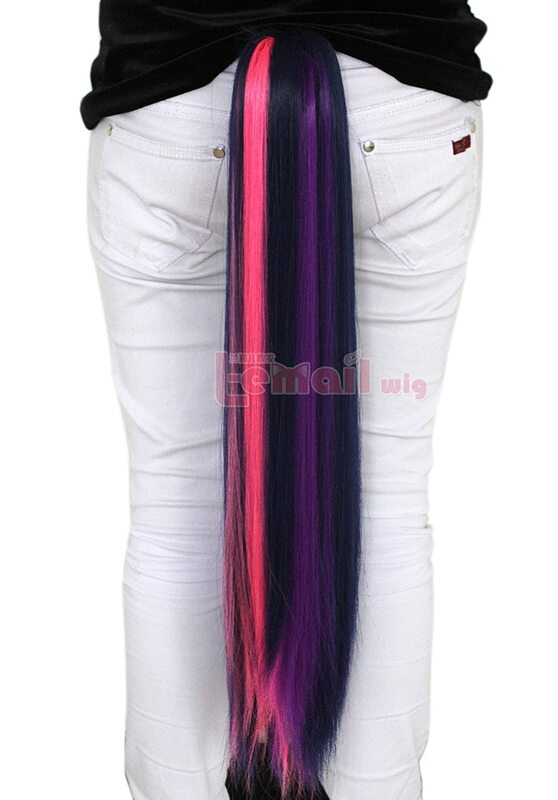 This is the tail I got to go with my Twilight Sparkle. It's from Lemail and is also from amazon. It worked perfectly, just like the wig. Soft and shiny, and barely any tangles. Definitely recommend this. This is my newest wig. I haven't worn it to a con yet, but I did try it on and it's short so it won't tangle. This one is from Epic Cosplay Wigs. It's their chronos 14" in black. It's very soft and not very shiny. Looks very real. I got this for my Mikasa Ackerman cosplay and I think it will work beautifully. Definitely recommend this wig. It's a little too flipped out at the bottoms for Mikasa, but that might fall out with wear. And if not, it's a very minor complaint. That's it for the wigs I own. I have 2 or 3 I plan on buying this summer, so I will let you know how those work out!